Our much-anticipated fall sale of African-American Fine Art was last Thursday, October 6. Works sold to a packed room, in addition to fierce competition over the phone and online. Eight auction records were achieved in the top twenty lots, with more throughout the sale. We also tied one of our own previous records. 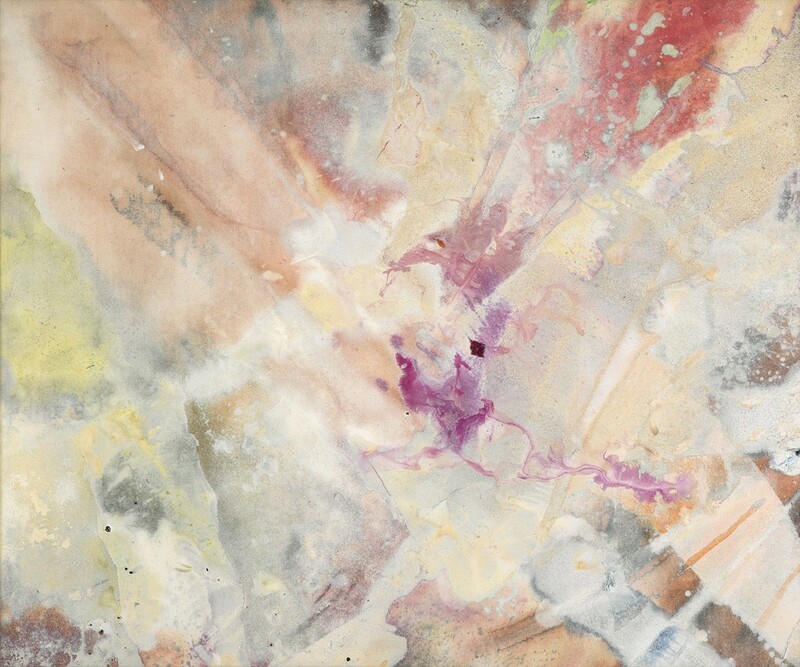 Sam Gilliam, What Did You in London Town?, acrylic on canvas, 1973. Sold October 6, 2016 for $173,000. The crowning lot of the sale was Norman Lewis’s Block Island, 1975. 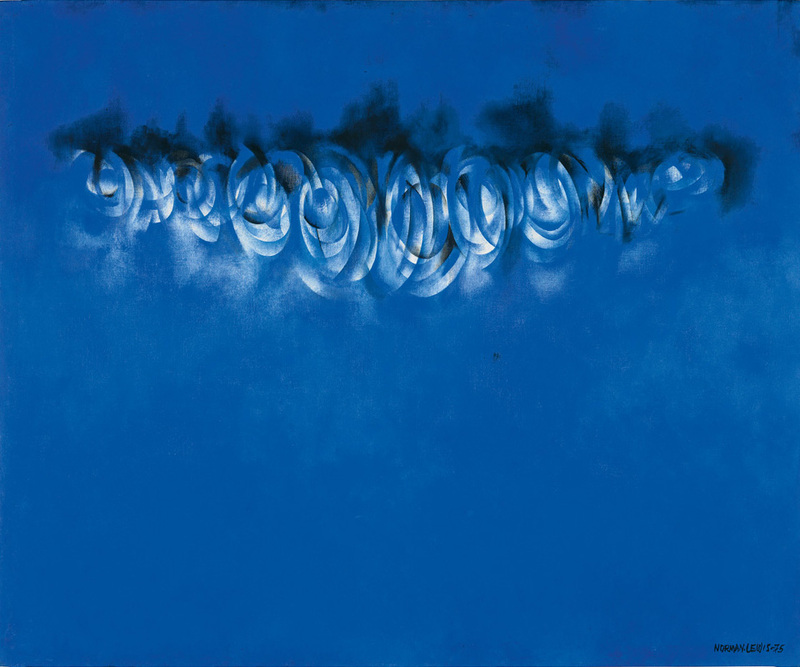 The mesmerizing blue oil painting is the first major canvas from the artist’s Seachange series to come to auction. A bidding war sent the price soaring above the high estimate to $245,000. All thirteen lots by the artist offered in this auction sold after competition from buyers. 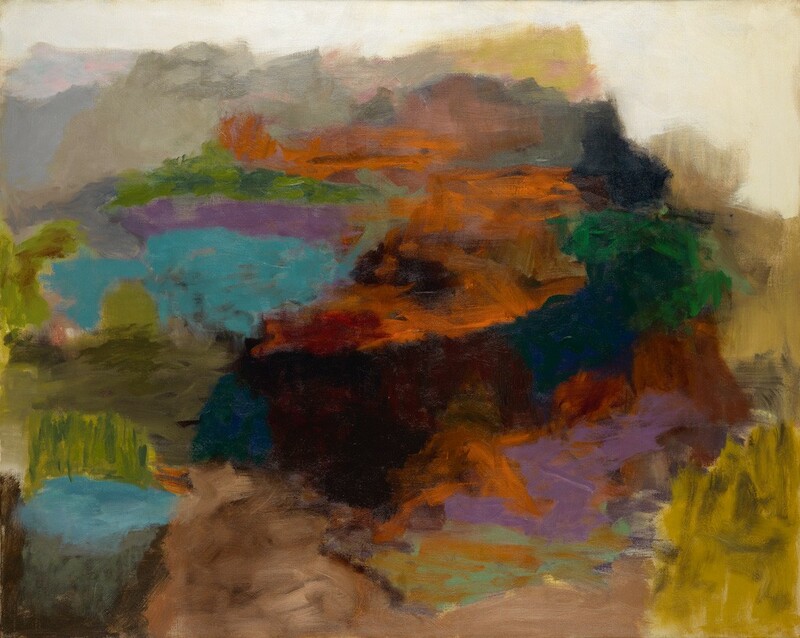 Norman Lewis, Block Island, oil on canvas, 1975. Sold October 6, 2016 for $245,000. Many works eclipsed their high estimates to applause in the room, including Wadsworth Jarrell’s Untitled (African Rhythm, Our Heritage), 1973, which more than doubled its high estimate at $97,500, an auction record for the artist. Jarrell was a founding member of AfriCOBRA (African Commune of Bad Relevant Artists) and a leader of the Black Arts movement. The work was won by an institution after intense bidding. 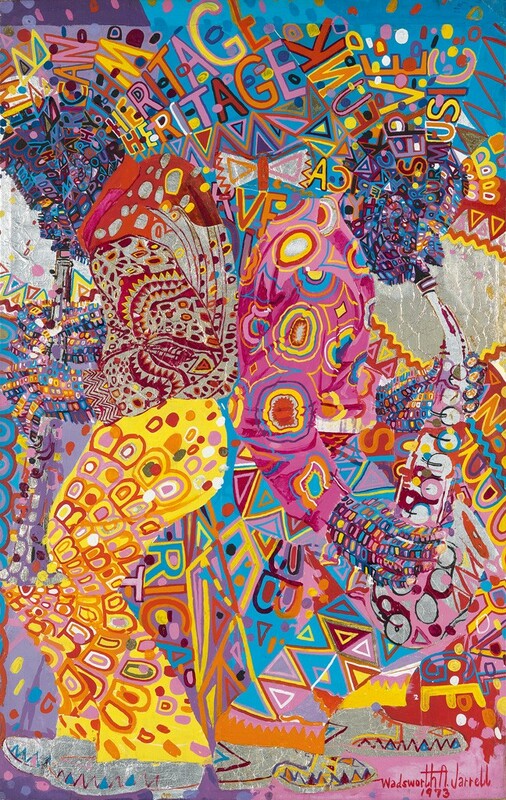 Wadsworth Jarrell, Untitled (African Rhythm, Our Heritage), acrylic and metal foil on canvas, 1973. Sold October 6, 2016 for $97,500. Photographs did extremely well, with multiple artists at auction for the first time and even more new records. 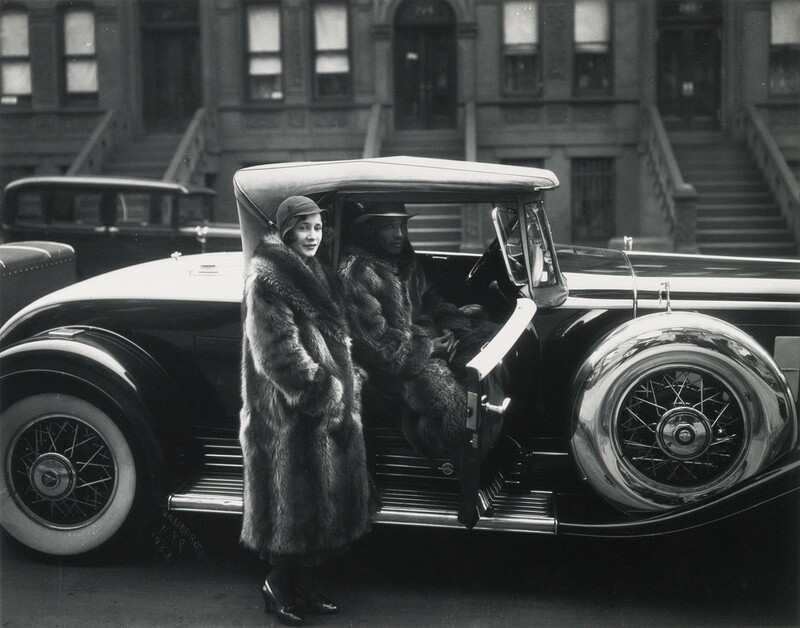 A portfolio by James VanDerZee titled Eighteen Photographs (1905-1938) nearly doubled its presale estimate at $87,500. James VanDerZee, Eighteen Photographs, complete portfolio of silver prints, 1905-38, issued 1974. Sold October 6, 2016 for $87,500, a record for the artist. Louis H. Draper appeared at auction for the first time with his 1960 silver print Boy and H, Harlem (Stickball) garnering $3,000. However you look at it, P. Herman Polk set an auction record: the highest price paid for a single photograph by Polk was $4,250 for his 1937 silver print Mildred Hanson Baker, while the highest price paid for any work by the artist was $13,750 for A Portfolio of 11 Original Photographs, 1932-46. 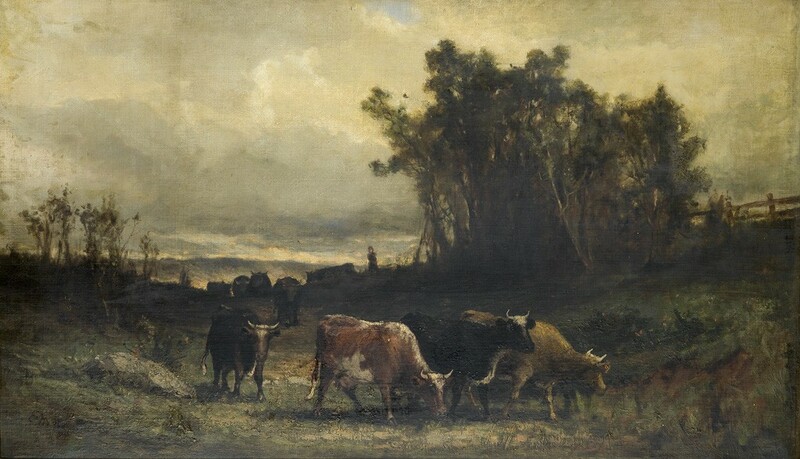 Attention was not limited to twentieth century artists: Edward M. Bannister’s Untitled (Cow Herd in Pastoral Landscape), 1877, a moody canvas believed to be in its original frame, was purchased by a museum after rapid bidding sent the price to $75,000, well above the estimate and an auction record for the artist. Edward M. Bannister, Untitled (Cow Herd in Pastoral Landscape), oil on canvas, 1877. 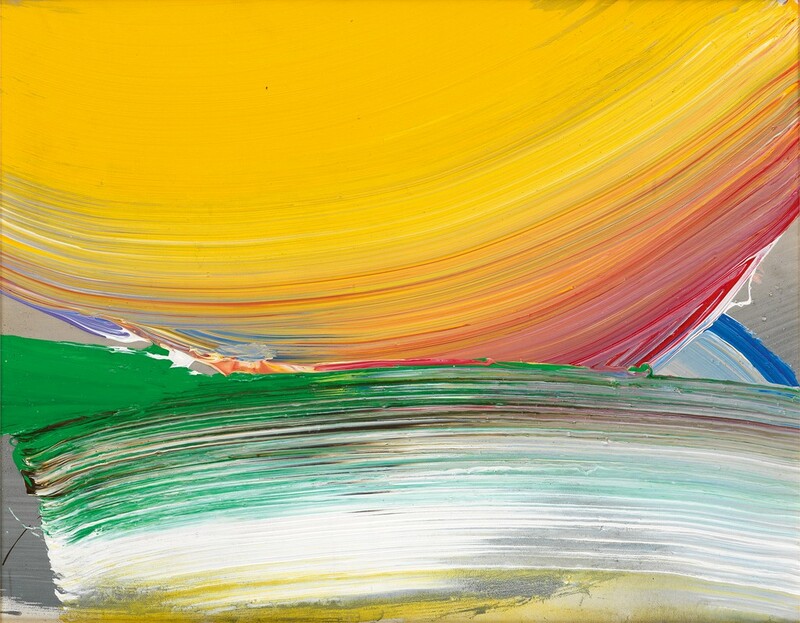 Sold October 6, 2016 for $75,000, a record for the artist. 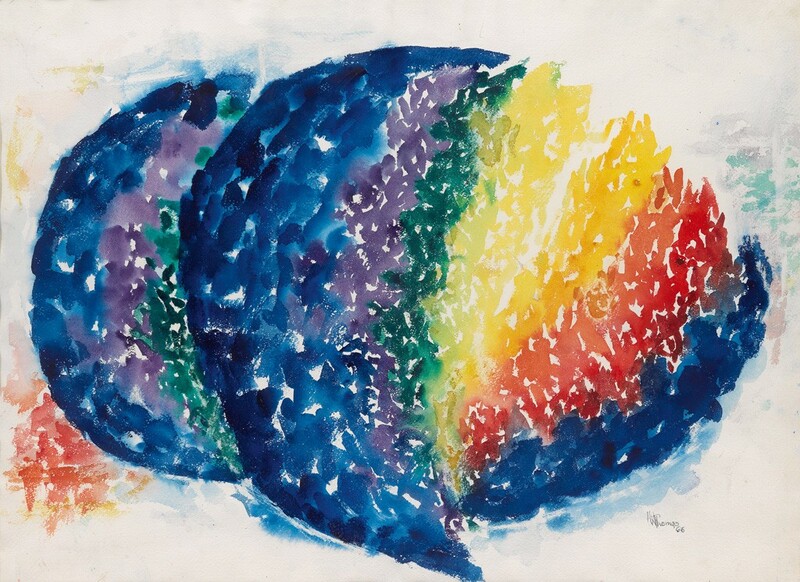 Alma W. Thomas, Genesis, watercolor, 1966. Sold October 6, 2016 for $65,000, a record for a work on paper by the artist. Columbus Knox, Engagement, acrylic on canvas, 1989. Sold October 6, 2016 for $55,000, an auction record for the artist. 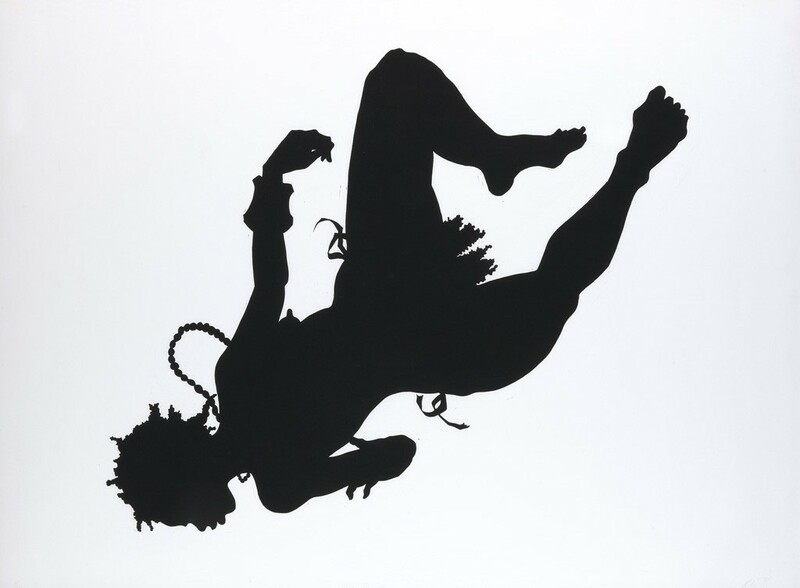 Kara Walker, African-American, linoleum cut, 1998. Sold October 6, 2016 for $37,500, a record for print by the artist. 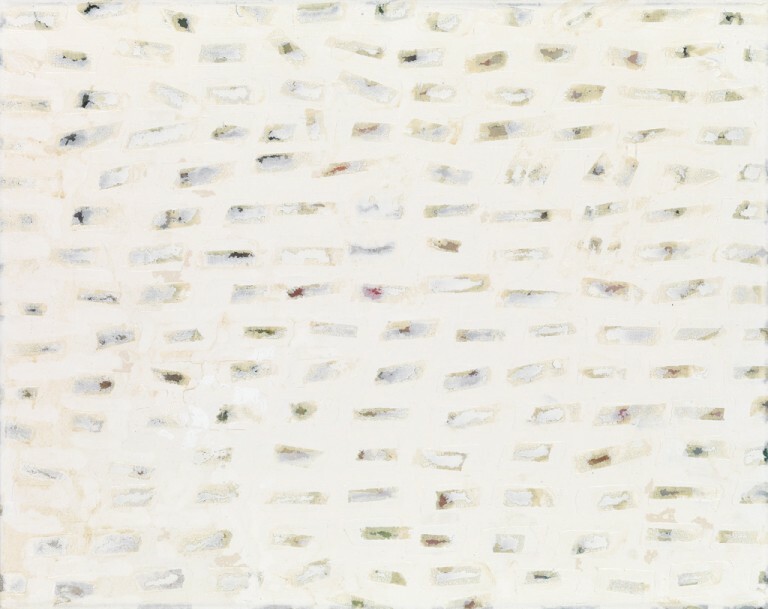 Ed Clark, Untitled, acrylic on canvas, 1994. 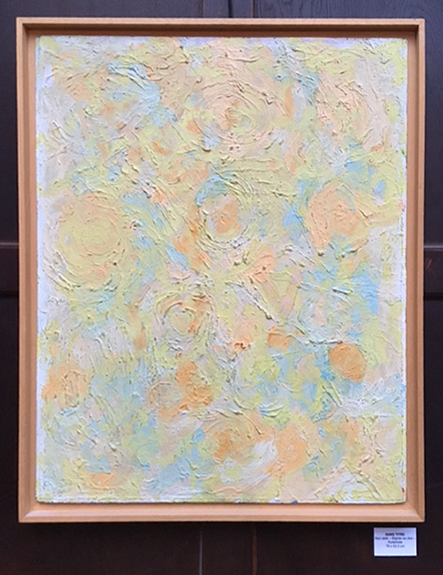 Sold October 6, 2016 for $30,000, an auction record for the artist. 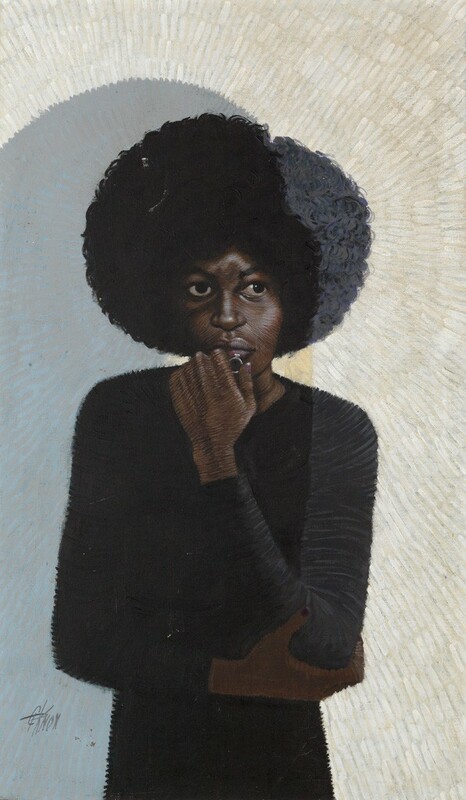 James Little, The Primary Suspect, oil on canvas, 2000. Sold October 6, 2016 for $25,000, an auction record for the artist. A circa 1960 untitled abstract work by Felrath Hines sold for $27,500, tying his previous record, also set by Swann earlier this year. Felrath Hines, Untitled (Abstraction), oil on canvas, circa 1960. Sold October 6, 2016 for $27,500, a tied record for the artist. For more results, browse the full catalogue.